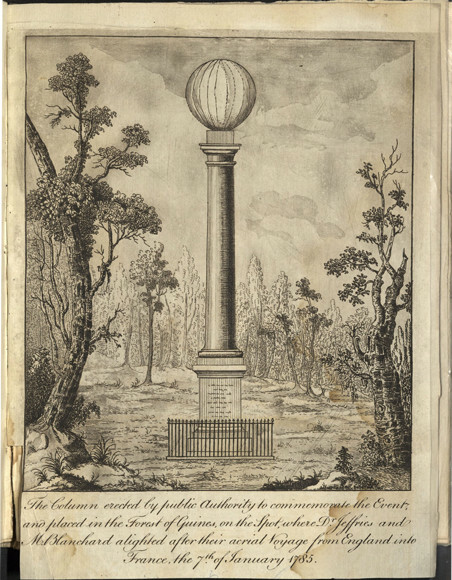 This manuscript diary covers pioneering aeronaut John Jeffries’ two balloon flights during which he performed meteorological experiments (the second flight was the first aerial crossing of the English Channel). I was immediately intrigued by his story and the diary’s level of detail. Jeffries, a Boston surgeon and loyalist during the Revolutionary War, was fascinated by the weather and is considered the first American meteorologist. 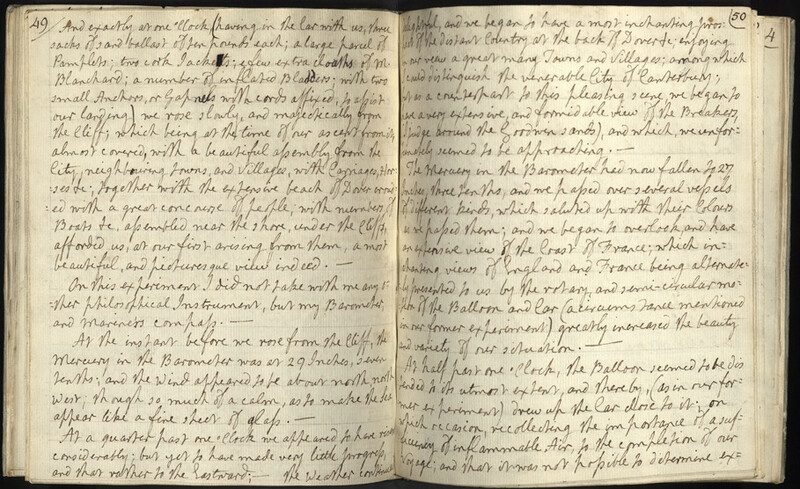 The Jeffries collection was recently digitized as part of Harvard’s Colonial North America Digitization Project, and it is my hope that he will become more widely known and written about.